With tax season underway, it’s a great time to ask your accountant about the tax efficiency of your portfolio. The conversation-starting strategies we mention below aren’t designed to avoid taxes. Rather, they allow you to be more tax-aware in your decisions. Let’s review some red flags to watch out for and easy fixes. The Issue: In addition to higher expense ratios, actively managed mutual funds pay capital gain distributions annually. Contrary to widespread belief, capital gain distributions are not good. The price of the fund drops by the amount of the distribution, so it is a wash from a gross return perspective but negative from a tax perspective, as you pay tax on the distribution. As an investor, you have no control over when or how much a fund will distribute. The worst-case scenario is buying a fund just before a large-gain distribution. In that situation, you pay tax on someone else’s gain even though you haven’t earned the return. The Fix: Emphasize index funds over actively managed funds or choose active funds that don’t trade much. Index funds will have capital gain distributions, but they are usually small. 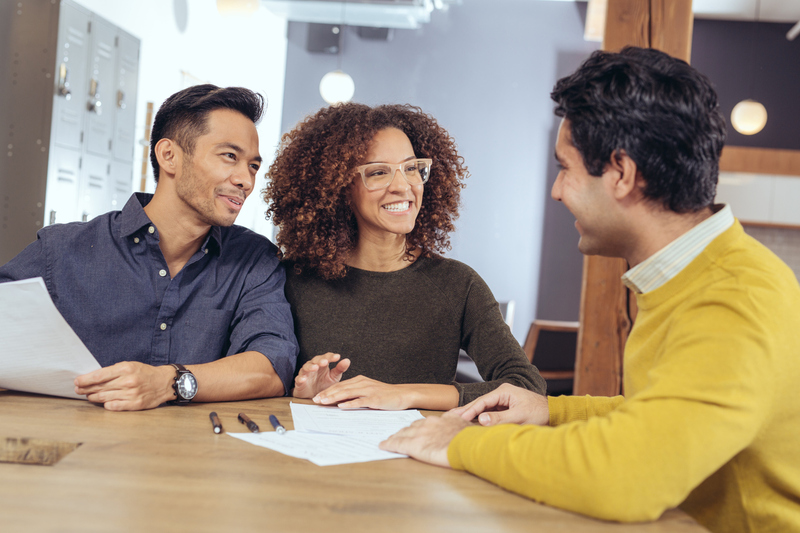 Most active mutual funds are focused on the pre-tax return because that’s what sells, and many of their customers own via retirement plans, so don’t expect them to be tax-aware. If your tax return shows capital gain distributions that seem high, or are producing tax that seems high compared to your investment return, ask your advisor if they are focused on the after-tax return for your portfolio (it is what’s left in your pocket that matters). The Issue: Few investors or advisors focus on the location of assets. Common examples are holding tax-inefficient assets like high-yield bonds, hedge funds, REITs, etc. in taxable accounts when they would be better placed in retirement accounts. The Fix: Emphasize tax-efficient assets in taxable accounts (index funds) and place tax-inefficient assets in the IRAs. Your IRA allocation should usually look different than your taxable account allocation. If you see taxable income from these types of funds, ask your advisor if they are employing an asset location strategy. One caveat: confirm whether those tax-inefficient assets are also producing unrelated business taxable income (UBTI). If they are, it’s potentially a tax headache to hold them in an IRA. The Issue: If you invest in illiquid assets (hedge funds, real estate partnerships/LLCs, private equity, etc.) you likely know they come with K-1s. This usually means an extension will be necessary and it complicates tax planning. Expect to pay your CPA anywhere from $250 – $1,000 per K-1. Fund-of-fund hedge funds can result in tax prep costs in the thousands. They often come with foreign asset exposure/reporting and many state tax returns, costing $250-$500 per state! The Fix: Make sure your advisor factors all these tax prep costs into the expected return equation. Private equity and real estate costs are usually less than hedge funds, but it depends. Illiquid investments often make sense despite these costs, but small investments may not be appropriate. For example, a fund-of-fund hedge fund could easily add $3,000 or more to tax prep. These fees may not be a huge deal on a $1 million investment, (as that only represents .30% of the return ) but on a $250,000 investment, $3,000 would represent over 1% of the annual return on top of all the other fees! These fees can drastically impact your net (after-tax) return, over the long-term. The issue: Many advisors and individuals don’t bother with tax loss harvesting or have proprietary funds that don’t allow tax loss harvesting at the fund level. This results in paying much higher taxes annually than you need to. The Fix: Nobody likes volatility, but volatility can be your friend if you have taxable investment accounts. Tax loss harvesting is simply selling assets that have gone down in value and replacing them with a similar security. You get to report the tax loss while staying fully invested. Instead of using a traditional index fund, consider using a customized index separate account, that buys the individual stocks of the index in your brokerage account and automatically harvests losses when volatility strikes. This can increase your after tax return vs. an already tax efficient index fund. This can also help minimize taxes that result from hedge funds or other strategies that create significant short-term gains. If your advisor is not proactively tax-loss harvesting, ask them why. The Issue: While it feels great to pay little or no tax, especially in a low-income year, it often means you aren’t taking advantage of opportunities. For example, most people have retirement accounts that could be partially converted to a Roth IRA. The opportune time to do this is between retirement and age 70, when income is low and you’re not taking Social Security. By converting a little bit each year at a low tax cost, you may reduce the taxes you’ll be forced to pay when you are required to take distributions from your IRA at age 70 and beyond. Another example is not taking advantage of the 0% capital gains rate, if it applies to you. If you aren’t paying any or much taxes and you have appreciated securities, you’ll at least want to sell enough to take advantage of the 0% gain rate! The Fix: Take a low income/tax year as an opportunity to pay a little now in order to pay less later. Ask your advisor and accountant if there are things you should be doing now that may not help this year but would position you better for the future. The Issue: Itemized deductions have been limited. This means most people won’t get a deduction for giving to charity unless they make a sizable gift. Also, many people forget or don’t know that they should give appreciated securities instead of cash. The Fix: Instead of making charitable gifts annually, consider making a large gift to a Donor Advised Fund this year and then use that fund to make grants in future years. For example, if you typically give $10,000/year, you may not be able to deduct that annually. However, if you give $50,000 in appreciated securities to a Donor Advised Fund (DAF), you’ll get to deduct most of the gift, avoid paying taxes on the gain, and then you can use the DAF to make $10,000/year grants to your usual charities. Most investment professionals expect returns over the next decade to be lower than normal due to high valuations and relatively low interest rates. While you don’t have any control over the markets, you have some control over taxes. The strategies above are just a few ways we help clients be more tax-aware with their financial planning and investment decisions, while keeping in mind that taxes are a form of investment in the country. We intentionally schedule time with each of our client’s CPAs once a year to evaluate these opportunities as good tax planning requires someone who understands your long-term plan and someone who knows the tax laws. In my experience, that is always money well spent!